Artyarns Silk Rhapsody in New Spring colors makes our eyes pop - gorgeous tones in new deep jewel and nature inspired colors. From bright to beige. Indulge your need for more of the best yarn Artyarns has ever made with Silk Rhapsody Mohair. 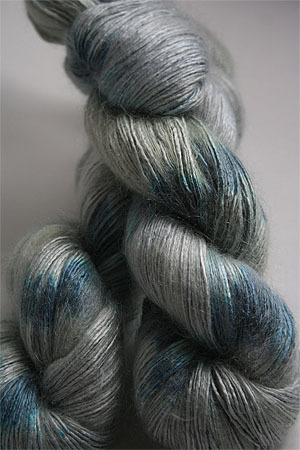 Think of that day this spring - the sky went from oceanic blue to a cloudy blue grey - Artyarns captured it in MOHAIR - believe it or not, iin this wonderful color - a real change from brights and perkys' - this is a very moody colorway!